I'm preparing my new bed quilt for a local show and can't recall reading the best way to add a 6" channel to hang it, as required. Seem to recall it should be a little loose so the bar doesn't show on the front when it is hung. So far I hand sewed it across the top, on the back of the quilt, just below where the binding ends. 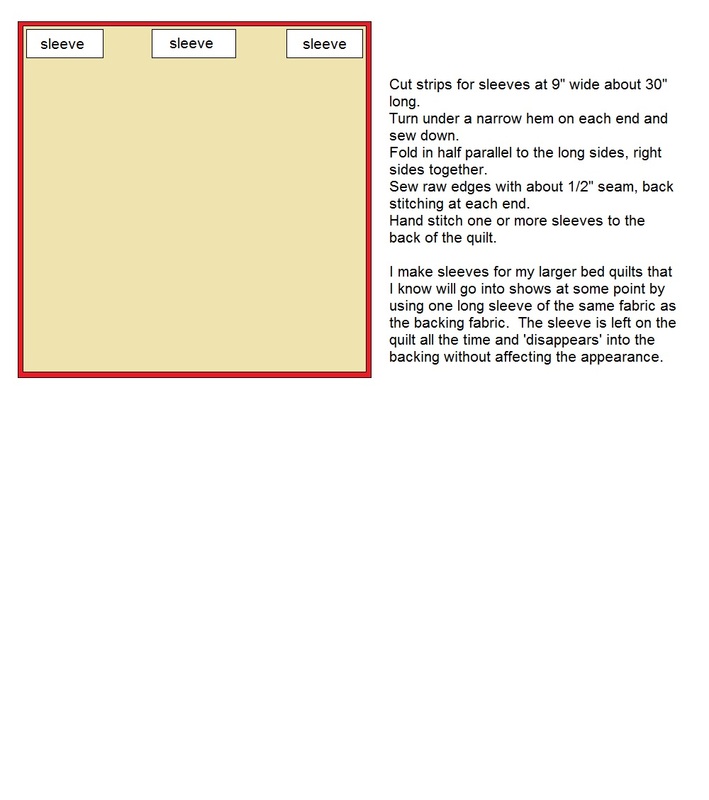 Now, how much slack should I leave in the fabric to sew it across the bottom of thechannel? Seems as though there should be a tute on this, but I can't seem to find one now that I need it. Thanks for any suggestions! I fold mine up to the top edge of the quilt and press. then stitch the bottom of the sleeve/channel down. that makes about 1/2 inch fullness in it. Thank you both. The BlueMoonRiver link is very clear; I'm saving that in my files. Texan, I think I get your idea, too, and may have used that method in the past. I had fun going through your album, and enjoyed your versatility. My favorite is your black & white bunny, though.